The Seven Stars Luxury Hospitality & Lifestyle Awards are the awards for the pinnacle in Luxury Hospitality and Lifestyle event to take place in London, June 4th of 2018 and the Voting will be open from April 6th to June 3rd, 2018. Self-Nomination process has now also opened and will close on the 25th of April. The SSLHLA family has been looking for a very special setting where the 2018 Venue will be announced very soon! SSLHLA is delighted to announce the addition of Amani Vernescu, owner of Quality Focus and Vicki Varfis, Managing Director of Campaign Works as Luxury Panel Members of the SSLHLA. Together Amani and Vicki provide the SSLHLA with vast experience and expertise in the fields of Marketing and quality control for the hospitality industry. 2018 also sees the launch of a new series of events under the “An Evening with Seven Stars” brand name. The first of these events will take place in Istanbul at the amazing W Istanbul on April 28th. In the next 12 months, a further 3 events under the same brand name will be announced including the city of Paris. This is the first series of events within the world of Awards dedicated to promoting nominees and the reception has been great. 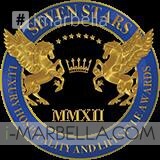 The Seven Stars Media Corporation has rapidly grown to become one of the world’s leading media houses focusing on Luxury Hospitality and Lifestyle. With brand names under its umbrella such as the Seven Stars Luxury Hospitality and Lifestyle Awards, SV Collection, Luxepitality.com, An Evening with Seven Stars, Seven Star Magazine, the newly created Seven Stars Luxury Winter Lifestyle Awards, SV Hotels & Resorts and Glacial Lifestyle Magazine it has now become an entity with interests in all aspects of the Hospitality and lifestyle industry. The SIGNUM VIRTUTIS is the highest, most exclusive award for the pinnacle of Luxury Hospitality & Lifestyle. The number of winners each year is capped, this means that we provide maximum exclusivity and benefit for our winners. 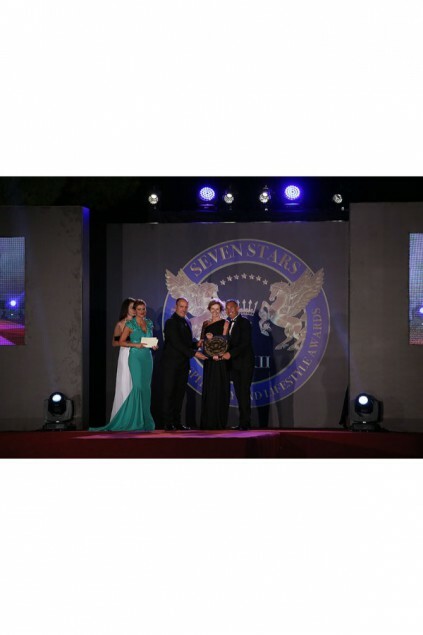 The Seven Stars Luxury Hospitality, and Lifestyle Awards, by the bestowing of the Signum Virtutis, serves as a guarantee to the luxury consumer that the recipients are truly the best in the industry. 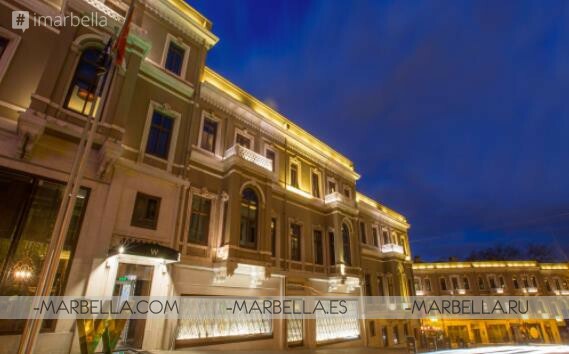 Seven Stars Luxury Hospitality and Lifestyle Awards: Reception at the Villa Padierna Palace Hotel 2016 Gallery!